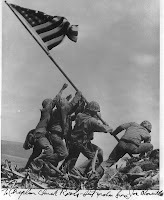 It has been sixty-six years since the bloody battle of Iwo Jima began February 19, 1945. This particular event in World War II is one of those seminal moments that has touched my own life in a number of ways. Allow me to share what I mean. First, my step father, Charles Garratt, served as a Marine in WWII. Interestingly, he first attempted to join the Navy. His desire was to be a pilot, but he had poor depth perception, so was rejected. 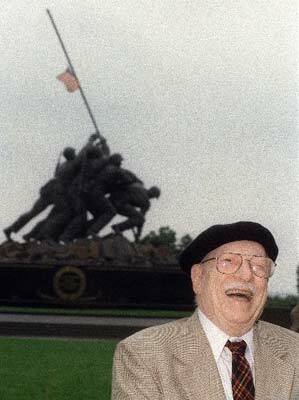 So in 1943, at age 31, he enlisted in the Marine Corps. 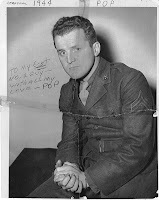 He was called “Gramps” by the 17 and 18 year olds in his platoon in boot camp. He served in aviation supply and was never involved in direct combat. That may well have changed had the U.S. not dropped the atomic bomb on the Empire of Japan, because the initial plan was for an all-out invasion of mainland Japan with the potential loss of American lives conservatively listed at between 1.5 and 2 million. Though my step father never set foot on Iwo Jima, there was certainly talk about it in our home while I was growing up in the 50s. I was always intrigued when he shared his various experiences during his two-and-a-half years in the Corps. When my feet were large enough, I used to wear his combat boots, called “roughouts.” The soles of these boots were made to withstand the razor-sharp coral reefs which Marines were frequently required to struggle over in the process of reaching the beach on various South Pacific islands. Iwo Jima was certainly no exception. Years later, after I had served in the Marines myself for nine years, I was back in the military, only this time as a chaplain in the Navy. I was scheduled to attend a chaplains conference in Okinawa, Japan. At the time I was the command chaplain for the USS White Plains (AFS4), home ported in Guam. 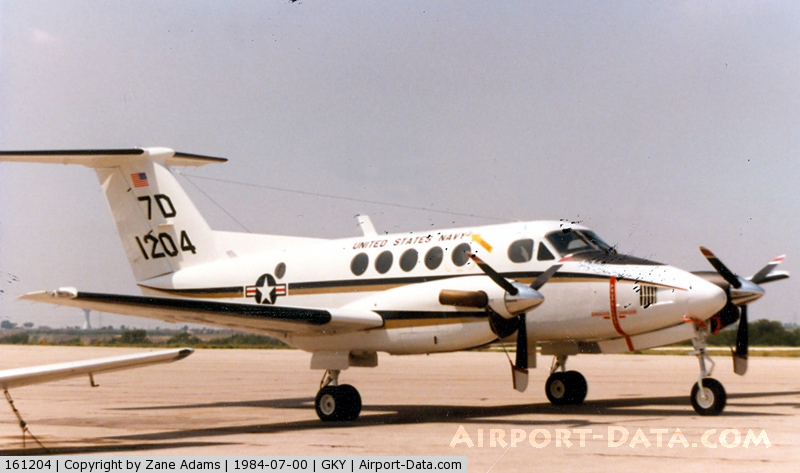 Along with a handful of other chaplains, we boarded a C12, a twin-engine turboprop airplane, manufactured by Beechcraft. The flight from Guam to Okinawa required that we stop to refuel on Iwo Jima. I was thrilled, as this is virtually hallowed ground for Marines. We were only on the ground for about thirty minutes, but it gave me enough time to take some pictures, and more importantly, to embrace this bit of Marine Corps history. The number of Marines who were killed or missing on this island numbered 6,822. An additional 19,217 were wounded. Then while serving with a reserve unit in the San Francisco Bay Area in 1999, I was invited to attend a luncheon at the Alameda Yacht Club, hosted monthly by the United States Marine Corps Combat Correspondence Association (USMCCCA), Joe Rosenthal Chapter. Who is Joe Rosenthal, you ask? Mr. Rosenthal is the gentleman who took the most famous photograph in history – the raising of the American flag on February 23rd, atop the 545 foot Mount Suribachi, on the southern tip of the island of Iwo Jima. Due to frequent ill health, the 89 year old photographer infrequently attended the luncheons. Would he be there on this day? I sure was hopeful. I can’t tell you how pleased I was to find Mr. Rosenthal in attendance that day. I was able to get a copy of the picture of the flag-raising which he then signed for me, which reads, “To: Chaplain Chuck Roots, Best Wishes! From: Joe Rosenthal”. 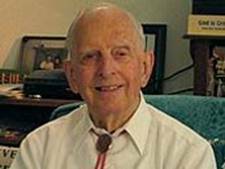 Mr. Rosenthal passed away in 2006 at the age of 94. As you go about your daily activities today, take a moment to remember that sixty-six years ago today a half-dozen men (five Marines and one Navy Corpsman) raised the American flag on Iwo Jima symbolizing for the whole world that we as Americans value our freedom above all else. Three of those Marines never left the island. There has been a lot in the news lately about an organization called the Muslim Brotherhood (MB). Westerners typically have little understanding of Islam and the Muslim belief system. The tendency is to lump all Muslims into the same pile because it’s easier to handle that way. But that’s not being entirely fair. In this article I will offer a brief history of the Brothers; and then how they operate in conjunction with Israel, and their designs on the United States. Follow with me as we look into this organization. The Muslim Brotherhood was formed in Egypt in 1928, and is the oldest Muslim organization in the world. It is formally known as “The Society of the Muslim Brothers,” but is more often referred to as Al-Ikhwān, The Brotherhood or MB. The media in reporting about this group, coupled with our government representatives, are all over the board when it comes to identifying this group. Are they radical Muslims, or are they more moderate, even leaning toward peaceful coexistence with the West? I don’t know, because it really depends on what you read and hear. Somewhere, as in most such cases, the truth is obscured. While many Muslim organizations call for violence against Jews and Israel, the Brotherhood in Israel, known as the Islamic Movement, is broken into two parts. In the north of Israel, the Movement is more radical, boycotting all Israeli elections; whereas their more moderate southern counterpart actually has a seat in the Knesset, the Israeli parliament. The Muslim Brotherhood has been active in the US since the 1960s. "Its stated goals have included propagating Islam and creating havens for Muslims in the US, and integrating Muslims. A main strategy has been dawah or Islamic renewal and outreach. In the 1960s, groups such as U.S. military personnel, prison inmates and African-Americans were specifically targeted for dawah." In the early 70s I was back in school at the College of Alameda (CA) after my four year hitch in the Marine Corps. It was there that I ran into a group of these Black Muslims. These men had been recruited while serving time in prison. I had a lively, organized debate with them for three days in an African-American History class. They were in close alliance with the Black Panthers who were also on the campus. It was an encounter that I will not likely forget! Organizations in the U.S. started by activists involved with the Muslim Brotherhood include the Muslim Students Association in 1963, North American Islamic Trust in 1971, the Islamic Society of North America in 1981, the American Muslim Council in 1990, the Muslim American Society in 1992, and the International Institute of Islamic Thought in the 1980s. Make no mistake! Muslims are here in the United States in ever-increasing numbers, it is purposeful, and it is by design. There is so much more to know, but perhaps this will help open your eyes to what this particular group of Islamists is planning for America and the world. This past week I was invited to speak to a Kiwanis club in a city not far from Ripon. I have been privileged to speak to this particular group on several occasions, so it was a pleasure to join them once again. As I considered what topic to address, I found myself thinking about liberty, and the basis upon which we, as Americans, have enjoyed our nation’s precious liberties for 234 years. These liberties came at a very high price: the blood of our patriots who fought the wars that secured our freedom. Let’s begin by defining liberty. First, it means to be free from arbitrary or despotic government or control. Second, to be free from external or foreign rule; independence. Third, to be free from control, interference, obligation, restriction, hampering conditions, etc. And, fourth, the power or right of doing, thinking, speaking, etc., according to choice. Even with these definitions, defining liberty can be quite challenging. This is because there is a very real tension between liberty for self-interest, and liberty for the good of everyone. At this point I willing take the risk of deviating into philosophical conundrums pertaining to a more thorough understanding of liberty of which there are two forms: Natural and Civil. First, there is “Natural” liberty. This is the same liberty that we share with the animal kingdom. More to the point, this is the liberty to do as one pleases. Natural liberty stems from man’s inherent sinful nature which is in rebellion against any form of authority. This approach to life, and the way to deal with others, is foreign to Natural liberty which looks out for “Number One,” first and foremost. It is often the “self” which is uppermost in the thinking with the exercise of Natural liberty. One example is the abuse of language. From TV, radio, movies, books, magazines, and people we encounter throughout the course of our daily pursuits, we are assaulted by a language and tone that is offensive and degrading. I have lost count as to the number of times I have approached a table of people (usually teens or men) at a restaurant to ask them to clean up their language. Someone might say, “But, you don’t have the right to do that!” I would reply that I certainly do have that right. The vocal offenders are exercising their Natural liberty to do whatever they please, and by so doing they are choosing to disregard and disrespect others; whereas I am exercising my Civil liberty of maintaining a societal moral order which benefits everyone. The erosion of our liberties today will continue unabated until “We the People” demand that our moral order is respected once again. It may seem like an impossible task, but it isn’t if enough people who hold to a godly standard of Civil liberty join forces for the betterment of all. Alas! Being the inveterate Civil War buff that I am, I must always return to this popular American historical topic just the way salmon must return upriver to spawn, or Canadian geese fly south for the winter. Tonight I was sitting reading from several of my Civil War books taken from my collection which fills one bookcase and then some. One book that always makes me smile is entitled, “The Incredible Civil War,” by Bruce Davis, 1960. This paperback volume is like attempting to eat just one M&M from the bag. It is chock full of intriguing information that you typically do not run across in your standard school text books. But once you read one story, you simply cannot stop. So let me introduce a topic in this article that may be of interest to you: Abraham Lincoln’s beard. “Who cares about Lincoln’s beard?” you ask. Well, there are some interesting facts and stories surrounding this 16th President of the United States and his vaunted beard. 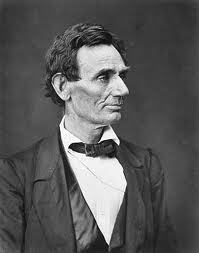 Lincoln was the first president to sport a beard! I thought back over the images in my mind of the various presidents, and could not dispute the statement that no president prior to Lincoln had worn a beard. So, to confirm this bold assertion, I checked a pictorial display of all the presidents. The official portraits of the presidents reveal that all 15 of the first presidents were clean-shaven! Only one even came close to wearing facial hair, and that was Martin Van Buren, the 8th president, who had a pair of the largest mutton chops you’ve ever seen! Lincoln actually began something of a trend as a number of his successors followed suit, namely, Ulysses S. Grant (18th), Rutherford B. Hayes (19th), James A. Garfield (20th), Chester A. Arthur (21st), and Benjamin Harrison (23rd). Of the first fifteen presidents, none had any facial hair, with the noted exception already mentioned of Van Buren’s world-class mutton chops. Andrew Johnson (17th) assumed the presidency following Lincoln’s assassination. He followed in the line of the first 15, choosing to be clean-shaven. The next six either had a beard or a mustache. William McKinley (24th) reverted to the clean-shaven look. Teddy Roosevelt (25th) and William Howard Taft (26th) were the last two presidents to have facial hair – moustaches. From Woodrow Wilson (27th) to the present president, Barack Hussein Obama (44th), all have chosen to remain hairless. After Lincoln was elected, he took a two-week train ride circuitously from Illinois to Washington, DC where he would be sworn in as the 16th president of the United States. One of the many stops along the way was at Westfield, New York. 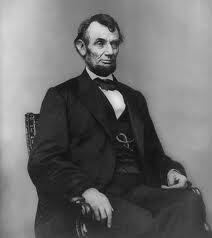 While giving a speech, Lincoln paused, and said, “During my campaign I had a little correspondent from your town. She kindly admonished me to let my whiskers grow, and since I’ve taken her advice, I would like to see her. Is she here? Is Grace Bedell here?” The little girl was pushed along by the crowd until she found herself face-to-face with the next president. Mr. Lincoln then gave her a kiss while all the people applauded. One of the greatest presidents in our history grew a beard at the suggestion of a precocious little girl. His beard was finally full grown just before his trip to Washington, DC. And now his bearded portrait is the most famous face in American history.